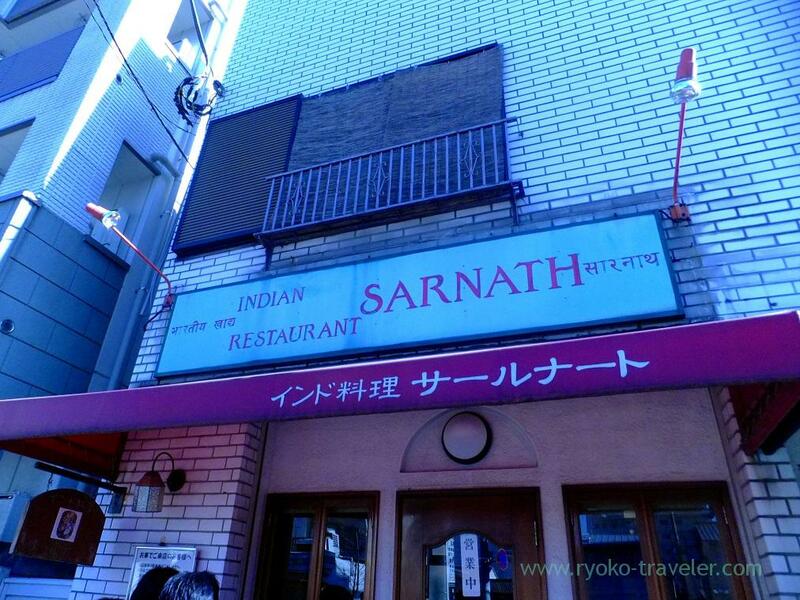 We went to a so popular restaurant that might be the most popular curry restaurant in Chiba. So small and cozy restaurant. There’re only four tables for two persons and one table for four persons. And, the chef knead dough after ordering. So it took much time. And more, we need much time to eat because the volume is large. If we wait after the opening, we have no idea how long do we have to wait. So, we should arrive at the there earlier so that we can enter the restaurant immediately after the opening time. At lunchtime, they serve plate lunch (ランチプレート, 1080 yen)< only. 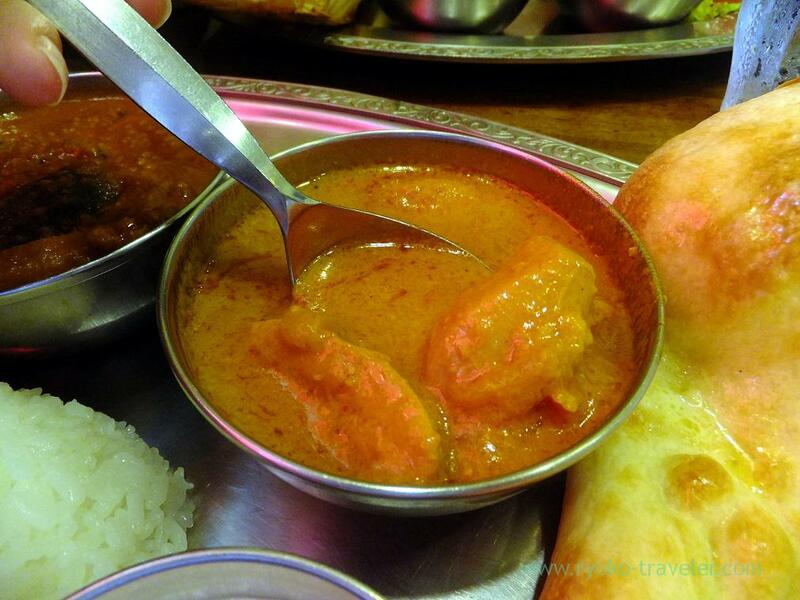 We can choose two curries from chicken, mutton, egg & vegetables and today’s special curry. 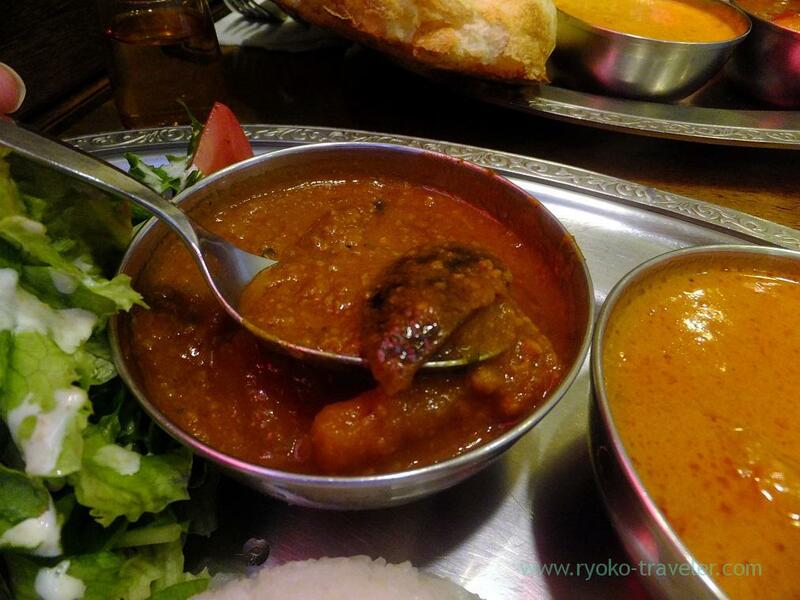 We also choose butter chicken curry, but if we choose it, we have to pay 1150 yen. It was same price before. 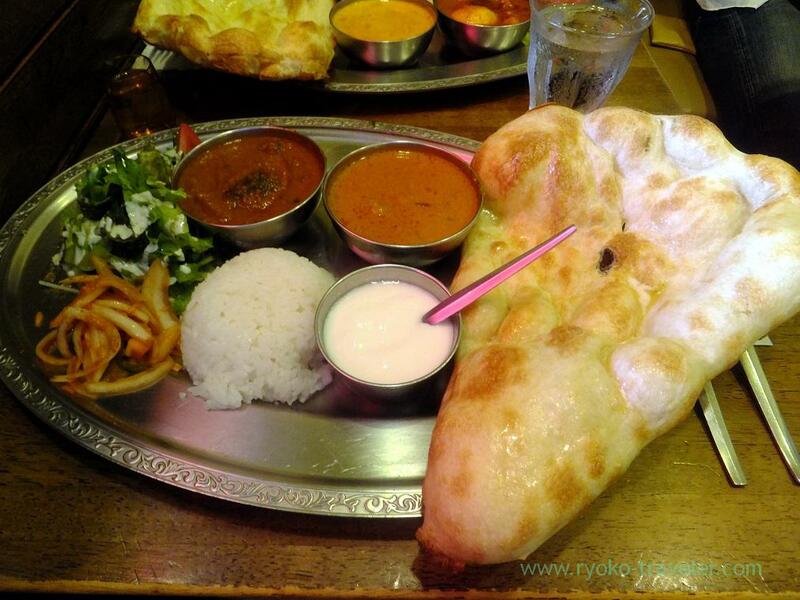 Look at this naan !!!!! Sooo huge !!!!! I needed so much time and patience to eat it up ! Eggplant and minced meat,Today’s special. It was like qeema. The chicken curry was so hot. And the chicken was springy and tasty. And the eggplant and minced meat curry was not so spicy, but, it had the taste of vegetables.